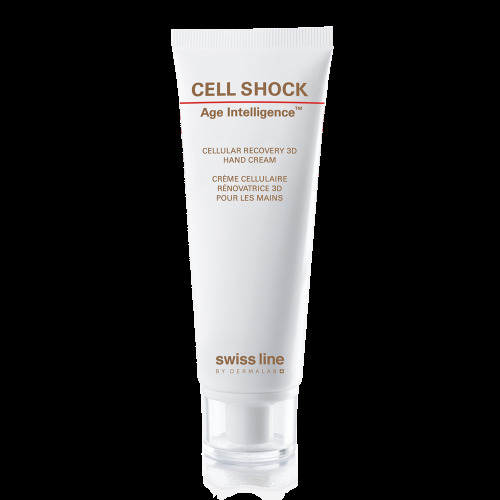 360° Anti-Wrinkle Serum Triple-Collagen Complex produces more resilient and younger looking skin, while boosting vital skin functions and revitalizing cellular metabolism. 360° Anti-Wrinkle Eye Zone Serum Triple-Collagen Complex fights wrinkles and fills lines in the eye contour area, while combating dark under eye circles. Total-Lift Day Cream SPF 20 lifts the skin and protects it from the sun`s damaging UV rays. Perfect Profile Remodeling Cream helps stimulate, regenerate and lift the fragile skin on the neck and décolleté. Cellular Recovery 3D Hand Cream shields and protects the skin from harmful environmental elements, abrasions, irritants and minor burns. 1. Soluble collagen, which increases collagen. 2. A collagen boosting peptide, Palmitoyl Pentapeptide-4, which strengthens collagen, together with botanical extracts from the Argan tree. 3. Collagen protective factors, microalgae Nannochloropsis oculata together with a well-balanced fraction of polysaccharides, which safeguards collagen. HYALURONIC ACID: known to improve the skin’s density and resilience. This low molecular weight hyaluronic acid has a reduced molecule size that facilitates its delivery and enhances its penetration across the skin barrier, providing an immediate and long-term filling effect. OCEAN-MATRIX COMPLEX: This unique ingredient is comprised of polysaccharides from a botanical origin and a lyophilisate from the red algae Porphyridium cruentum, optimized for an intense and immediately perceivable tightening effect. It also smoothes the skin while acting as a protective barrier against oxidative stress. CELLACTEL 2 COMPLEX: a unique cell-regenerating complex, boosts vital skin functions and revitalizes cellular metabolism to “lift” the skin and visibly reduce wrinkles.